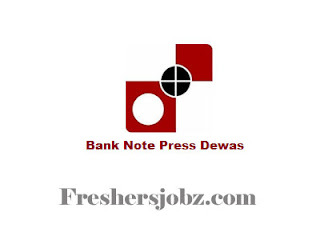 BNP Dewas Notification 2018.Bank Note Press, Dewas has released a notification for the recruitment of Supervisors,Junior Office Assistant,Junior Technicians and more vacancies.Check the eligiblity and notification prior to apply for the positions. Qualifications: Bachelors Degree, B.Tech./ B.E., Diploma, ITI certificate, Typing knowledge. Minimum age: 18 years as on 09.11.2018. Last date to apply: 09.11.2018.